Key Difference: Freehold refers the type of ownership of a property which is retained for indefinite period of time. The owner owns the land as well as the building in this case. On the other hand, leasehold refers to the type of ownership which retains for a specific number of years as specified in the lease. Freehold property is reverted back to the freehold owner after expiration of the lease period. Freehold and leasehold are two different types of land, building or house ownerships. Freehold owner of the building means that he owns the land as well as the building. One can make any type of alteration in the building as it totally belongs to the person forever. However, some kind of permission from the concerned authorities may be required in order to make some structural changes. Mostly, people prefer to buy a freehold property as it fully belongs to the person and one can resell it whenever he wants to. There are several advantages of buying a freehold property as one does not need to pay rent for it. This type of property is purchased or inherited generally. One can also acquire it through gift or will. On the other hand, leasehold refers to another type of ownership in which one takes a property on rent for a number of years. The terms and conditions are defined and specified in lease, which is a contract. This lease time is generally more than 99 years. Now days, builders build apartments of houses on leased land. It is beneficial for the developers as they do not have to purchase the land, which is a costly affair. A property of this type can be bought and sold, whereas the structure and land still belongs to the freeholder, who can also charge tenants ground rent. Generally, a proper contract is signed which clearly mentions the terms and conditions of leasing the property. Most of the leasehold ownership is provided by the government. 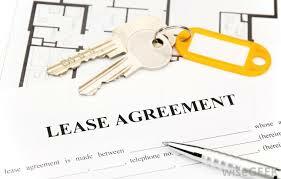 Lease can also be renewed and extended if accepted by both the parties involved. In some place, long leases which extend up to 999 years are also known as a virtual freehold. The original owner is known as the lessor, whereas the person who acquires the rights to use the property for a definite period of time is known as the lessee. Freehold title holds true for an indefinite period of time, whereas leasehold title expires after the period of the lease. Freehold ownership provides full rights to owners, whereas leasehold property provides only restricted rights to owners. 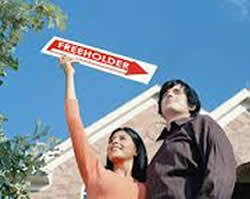 No such disadvantages of having a freehold title. However, the freeholder needs to take the responsibility for maintaining and repairing. He also needs to pay the property tax. Buying such a property can be a big financial burden for some people.